Imagine a horse with blinders. They see what’s in front of them and not what’s around them, and by limiting their vision, they are better able to focus on taking the steps in front of them. There are days when I just can’t focus; I get distracted by every person who walks by my desk in the office, or sounds from the kids, or even just shadows on the walls. 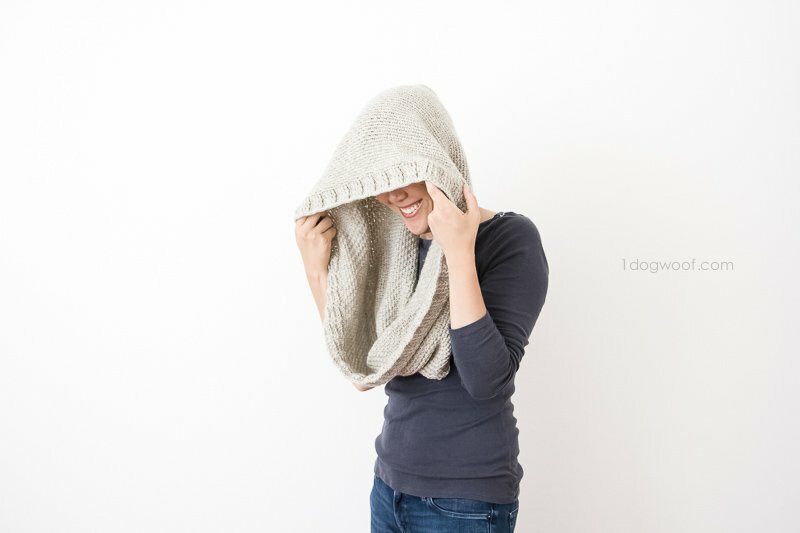 My mind just doesn’t want to buckle down to get work done, so I’ve taken a lesson from that horse with blinders and made some for myself – this Hideaway Hooded Scarf. It helps me focus on the work in front of me, and tells others to leave me alone. Then there are those days when you really just want a place to hide. Tell me I’m not the only one! This idea has been brewing in my head for a while now. 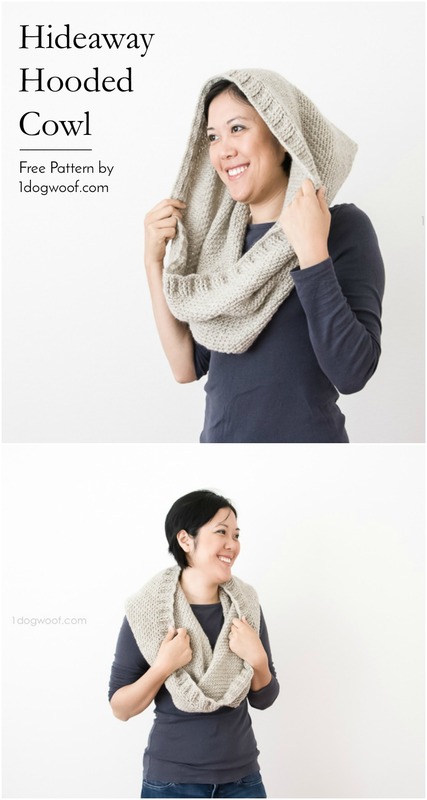 Ever since I made my first infinity scarf, I’ve often tried to pull the whole scarf over my head, but it never quite worked. This time, I knew what I wanted. 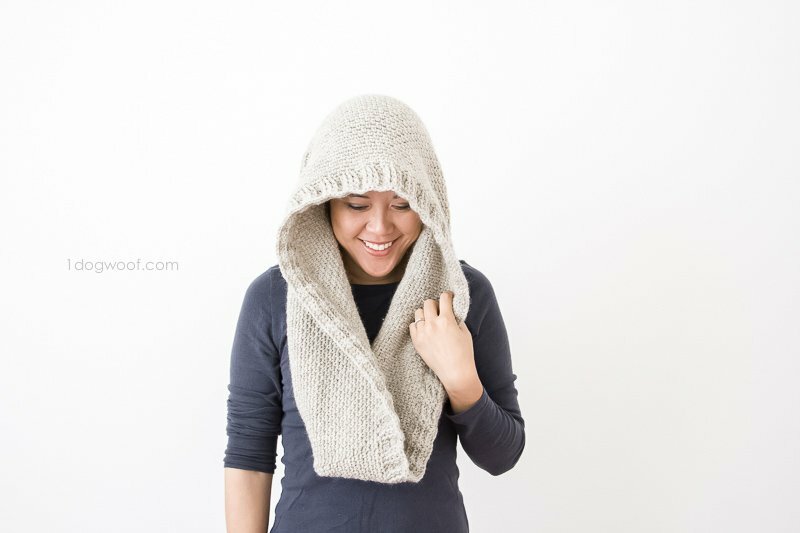 It’s just a cowl, except for a portion that’s sewn together to create a hood. When you don’t have the hood on, it’s just a normal cowl, but the hood pops up to create your own little hideaway. For this project, I used Lion Brand Fishermen’s Wool in Oatmeal. I found it to be light, super warm, and I love the soft neutral color! It won’t make too much of a splash in the office, and it’s not too bulky, so I can wear it in all sorts of strange California weather. The Fisherman’s Wools is thinner than Lion Brand’s Vanna’s Choice, but I used a larger hook so that the whole scarf maintained an airy feel without feeling holey. I used a simple moss stitch pattern, with a ribbed border. 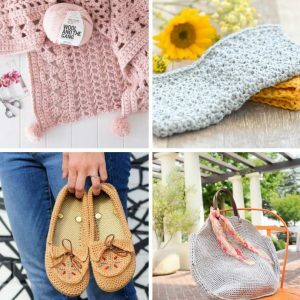 Sometimes, I’ve seen this stitch called the granite stitch or the seed stitch – it’s basically working in alternate single crochet stitches to create this very even, woven look. Whatever you call it, I love the simplicity of its look and the lovely texture it produces. It’s a great pattern to experiment with, and then let your mind wander once you’re deep in the rhythm of the stitches. 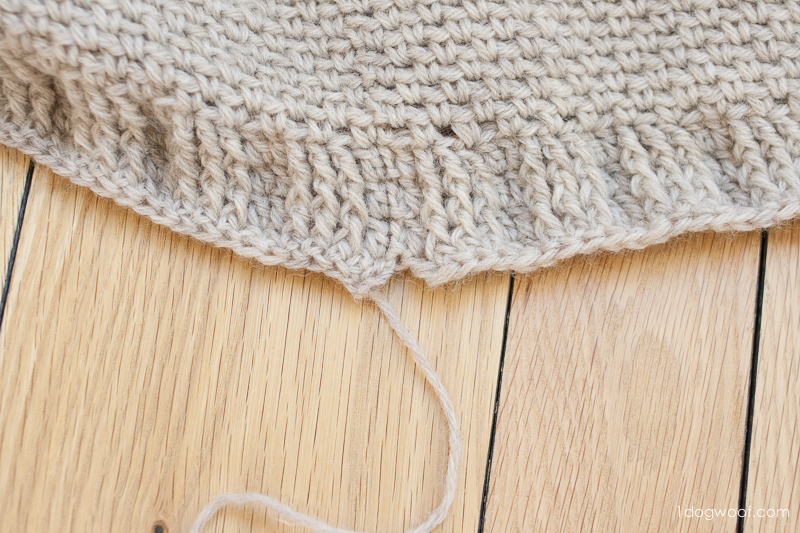 If you want the scarf/hood to be deeper or shallower, you can adjust the number of rows of the moss stitch. 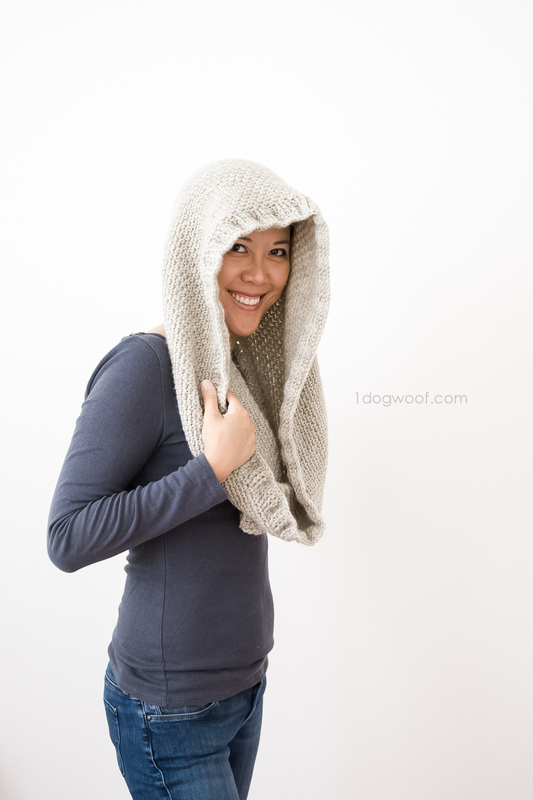 You can also adjust the number of foundation stitches to create a longer scarf and even have enough room to wrap it around your neck, creating an infinity hood for a super cozy feel. 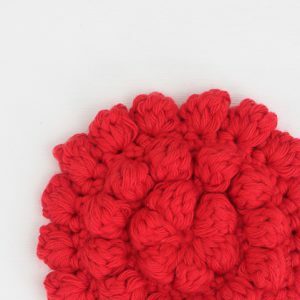 fpdc – front post double crochet – work a normal double crochet stitch, but around the post of the indicated double crochet stitch, not through the two loops at the top. The instructions below start with a row of foundation double crochet stitches (video below). If you are uncomfortable with that stitch, you can always start with 183 chains, and then work double crochets into each chain, starting from the 4th chain from the hook. You should have 180 double crochet stitches before starting Row 2 below. You’ll notice hat when you join the foundation double crochet stitches in the round, the point of the join is a little bit wonky, with the end hanging loose. 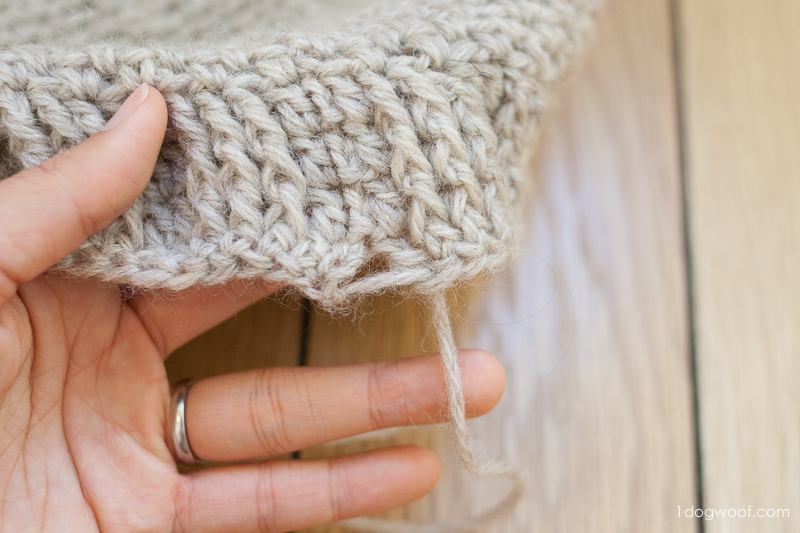 When you weave in the ends, you can sew the ends together tightly and close up the gap. The first few rows of the ribbing is plain front post double crochet ribbing. 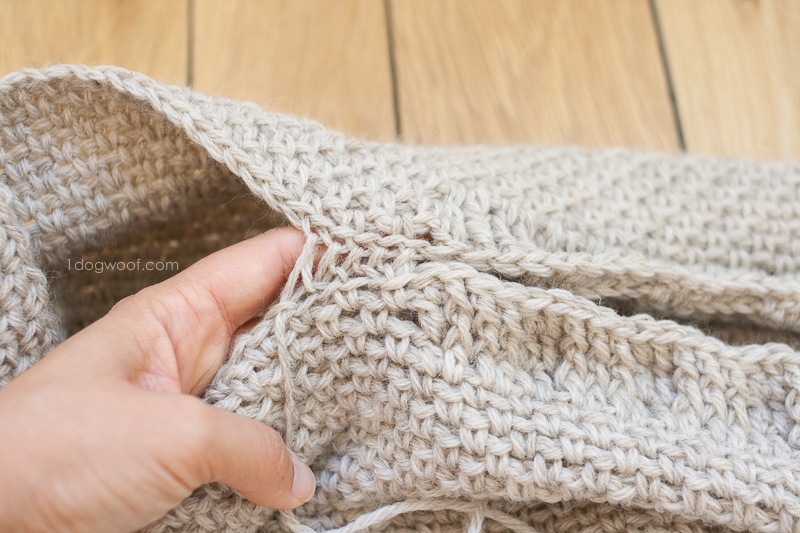 Once you get to the hood part, you’ll switch from fpdc to the moss stitch to create the hood section, and then back to the fpdc for the ribbing. Then, you’ll join together the moss stitch section to close up the hood, using the mattress stitch. Row 1: Start with 180 foundation dc. Join to first dc with sl st.
Row 3, 4: Repeat Row 2. Row 7: Ch 1. Work [1 sc into ch 1 space. Ch 1, skip 1 st] 90 times. Join to first sc with sl st.
Row 8 to 47: Repeat Rows 6 and 7. Row 49: Ch 2 (does not count as st). Work 1 dc into each of next 60 st. Work [1 sc into ch 1 space. Ch 1 skip 1st] 30 times. Work 1 dc into each of next 60 st. Join to first dc with sl st.
Row 51: Ch 2 (does not count as st). Work 1 dc into same st. Work 1 fpdc into each of next 3 st. Work [1 dc into each of next 2 st, 1 fpdc into each of next 3 st] 11 times. Work 1 dc into next st. **Work [1 sc into ch 1 space. Ch 1 skip 1st] 30 times. ** Work 1 dc into next st. Work 1 fpdc into each of next 3 st. Work [1 dc into each of next 2 st, 1 fpdc into each of next 3 st] 11 times. Work 1 dc into last st. Join to first dc with sl st. (180) Fasten off and weave in ends. 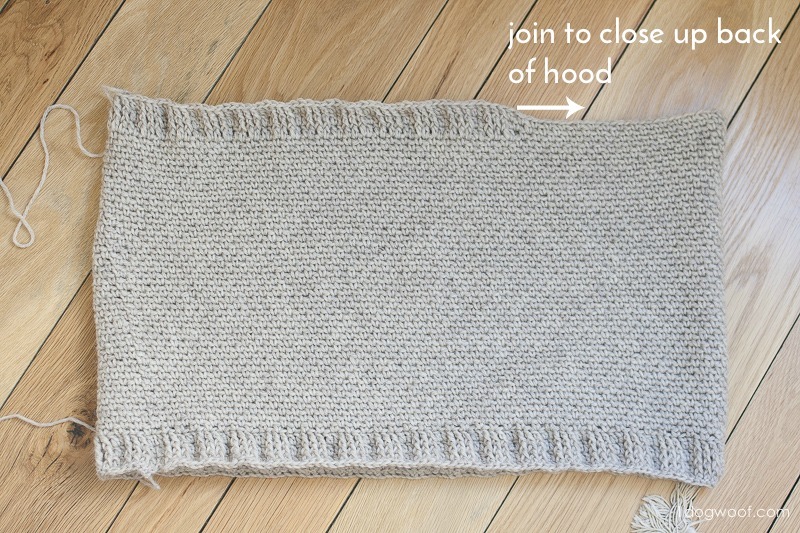 Fold your scarf so that the ** sections from Row 50 and Row 51 are folded in half – this is the hood part. 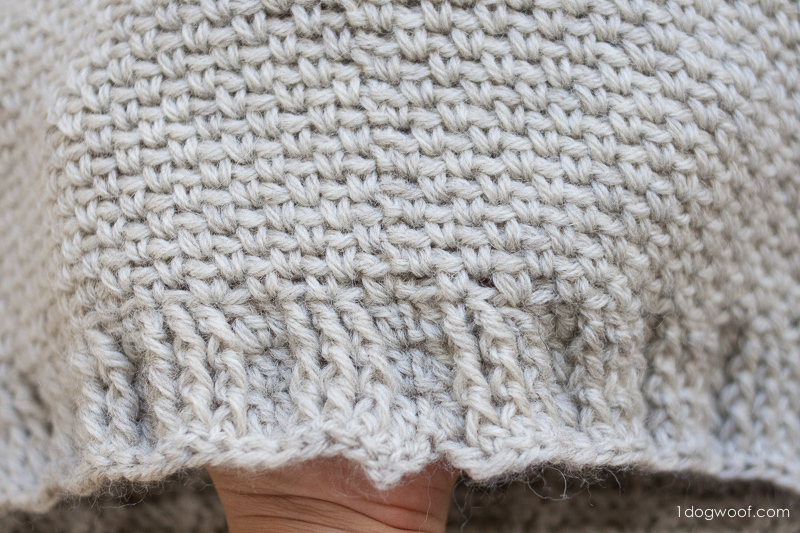 Use the mattress stitch to join [Row 51, stitch 61] to [Row 51, stitch 121] and so on to close up the hood. Fasten off and weave in ends. 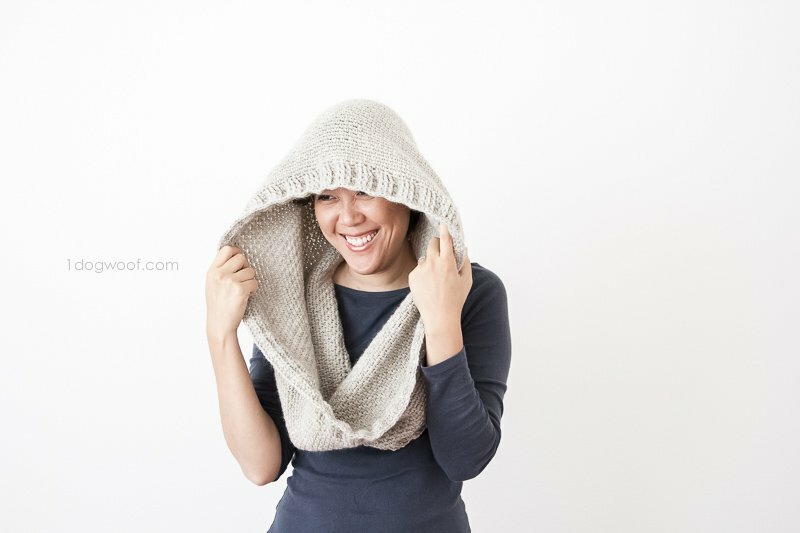 I love the versatility of this cowl – it means I don’t have to pack both a winter hat and a scarf, since the hood pulls up if the winds starts blowing. This reminds me of what Alton Brown used to say in Good Eats – always have multiple functions for a tool so you don’t clutter up your kitchen. I don’t mind cluttering up my closet with warm and cozy yarn projects, but sometimes a girl just can’t pack everything into an itty bitty bag! I’m excited to give this scarf a try at the office. 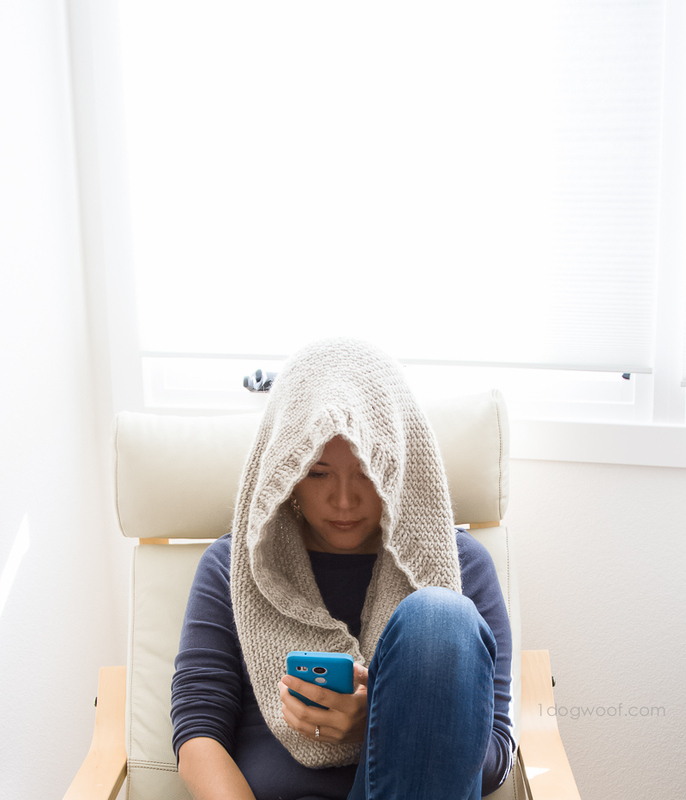 Tuck in a pair of headphones under my Hideaway hooded scarf, curl up on a couch (yes, we have couches in the office), and I’ll be ready to get super-productive! What do you think about this project? Is this something you can see yourself using, or is it too weird for you? If you make one, please share your completed projects with me on Facebook (One Dog Woof) or Instagram (@1dogwoof)! It’s beautiful! Love the stitches and the shape. I love it 👍🏽💕 Do you think using a 50/50 Acrylic and Cotton yarn would work with this pattern? I think any yarn would work with this pattern! I love this pattern! I have a question though. 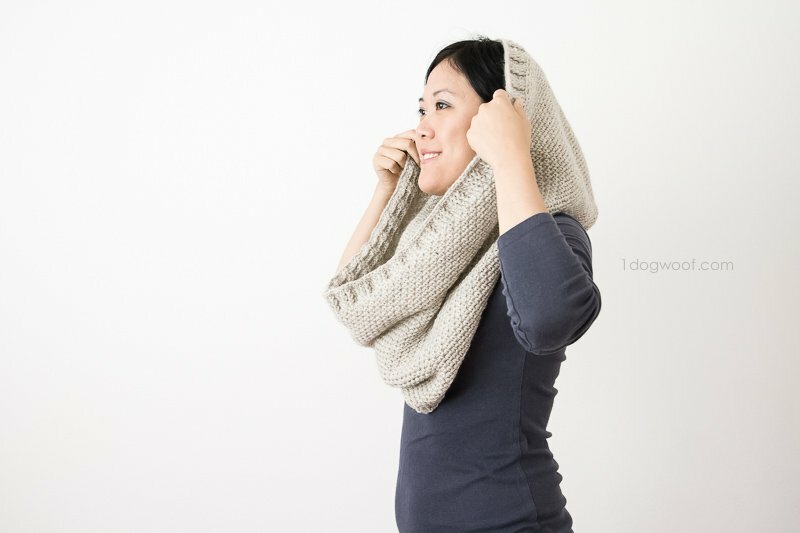 How big should this scarf measure when complete? I feel like the one that I started is looking a little too big and have a feeling I need to go down at least one hook size. Thanks! Hi Nikki, the size of the scarf is totally up to you! I think mine feels a bit small at times because there are days when I want to double wrap it around my neck. Mine is maybe 2 feet wide as it is. Hope that helps! 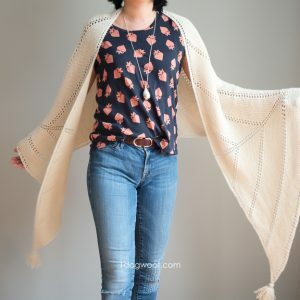 How would I change this to a knit pattern instead? I’m sorry, I’m unfamiliar with knit, so I can’t help you with that question! search Pinterest, there are lots of instructions on how to translate hook to needles and needles to hook. Omg, this is just what I’ve been looking for! If I wanted to make it wider around, I am very broad shouldered, and raised the number of foundation chains, what would I need to do differently to get the hood? Or would there not be much difference? Thanks so much! I love this pattern and I hope you don’t mind but I have linked to it in my recent blog post – where I have attempted it (and adapted it slightly). You can see it here: http://myroundtuit.com/2017/10/01/life-lessons-and-the-crochet-that-kept-me-ticking-along/ if you’re interested. Hello! I adore this pattern! And I want to chronicle it but i have a question. Is the project worked in the round or just the basic crochet. For example, after chaining 2, do I turn or since it is a circle, i continue? New to reading and following patterns. 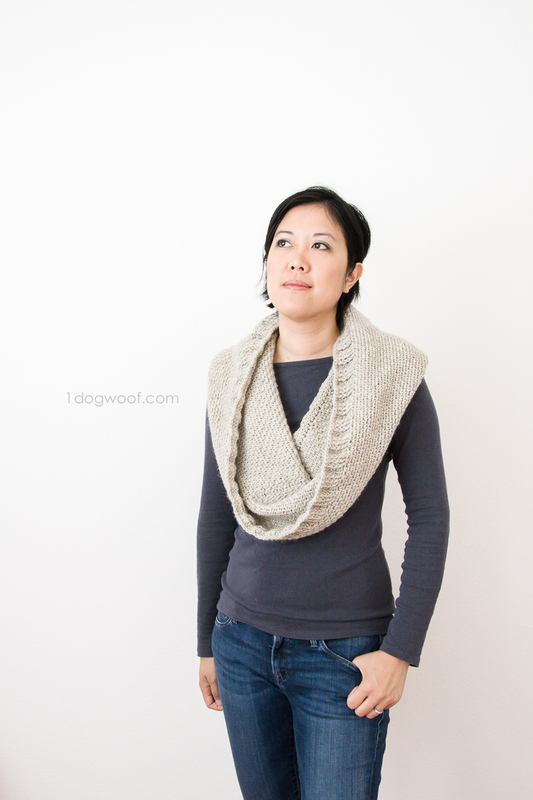 This is the easiest hooded cowl pattern that was free. Please get back to me ASAP! Thank you!